You may not snort, giggle and play like Peppa Pig and her family do but my girls do! I can admit, I wasn't overly crazy about listening to Peppa Pig and her family snorting especially Pappa Pig but my girls laugh every time because they know how I feel. 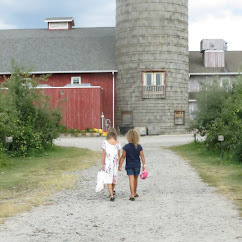 My girls have enjoyed the adventures of Peppa and her brother George for some time and they have learned some different words from across the pond such as petro. 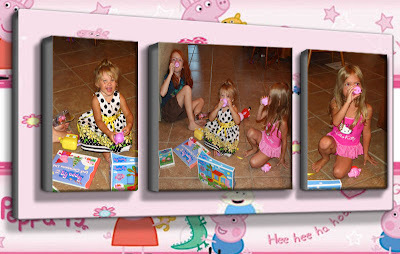 Peppa Pig, until now, has only been available on television or on DVD so when the girls received this delightful box of Peppa Pig toys, you would have thought it was Christmas. What makes these toys so special is it's the first time they are being offered in the United States! Unfortunately, I don't know where my mom's side of her family is in the United Kingdom so I couldn't rely on them to send some over. Now, no one has to because the Peppa Pig line of toys are here! My five year old has latched on to the Fisher Price Peppa Pig toysets and fights with her two year old niece who equally fell instantly for them. They are perfect for little fingers and offer a variety of make believe to play. Danielle, my five year old, loves the tree swing she can put Peppa Pig in or the little hop scotch matt. My grandbaby likes the little picnic basket along with the other figures. They both also want the Peppa Pig plush doll because she's bright and cuddly. Even my nine year old got into the act of playing with the tea set and cups. When they drink from the cups, they bottom is in the shape of a pig's snout so they all have cute little piggy noses. The entire package was perfectly complete with an addition of the new Peppa Pig the Lost Christmas List which is perfect for the holidays coming. It's perfect length for bedtime and it's engaging as what child doesn't love Santa? The story is cute and the illustrations are vibrant and cute. The DVD contains 10 peppasodes which I found as clever for them to list the episodes like that. Now, they can watch Peppa Pig anytime they want. 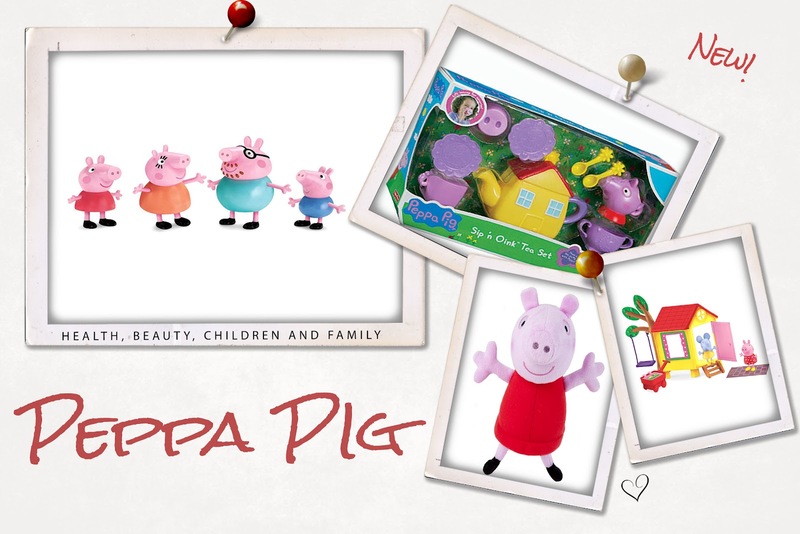 These are must haves if your child loves or even likes Peppa Pig. If your child hasn't seen Peppa Pig, she's on television and now you can get these cute playsets at stores such as Toys-R-Us and other retailers. My five year old has played with them every day since we received them. *Disclaimer: I received complimentary product for the purposes of this review. The opinions are of my own. I have 2 boys ages 3 and 6 who (even though they are boys) absolutely LOVE Peppa Pig! They run around trying to talk in the same accent as the characters from the show :) It's quite entertaining to say the least, lol! I'll have to check out toys r us for the little figures. Thanks for the article.